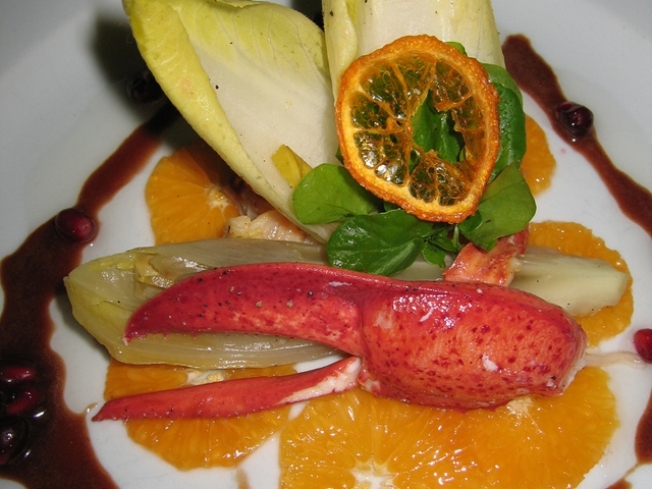 A spiny lobster salad at Aqua in San Francisco. One of San Francisco's highest rated restaurants is making a change at top in an attempt to recapture some of its past glory. A rough week for Aqua is ending with a report the restaurant is being taken over by a new owner, according to San Francisco Chronicle food critic Michael Bauer. The two-time, two-star Michelin Award winner lost both of its stars earlier this week and now it has a new owner. The Bacchus Management Group will take over the restaurant after beating out a bid by "three well-known chefs" to take over. The restaurant drew national attention when it first opened in 1991 for its rave reviews, according to Bauer. And Aqua also launched the careers of George Morrone and Michael Mina. Aqua lost its two Michelin stars earlier this week, following the departure of Chef Laurent Manrique amidst a feud among the family that owns the restaurant. The restaurant will remain the same until the new year and then a conversation will take place about whether the name will be retained.